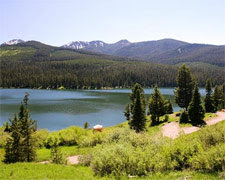 We found ourselves taking a vacation to one of the finest places in the whole US, Bozeman Montana. My wife has been planning this trip for so long that we were well prepared ahead of time with plans for our trip. From biking to hiking, fishing to visiting every great restaurant in town, we had the whole thing planned down to the last day. When we arrived at Bozeman we picked up our vehicle from Budget before heading to our lodgings. I am sure you already have guessed that we got a great deal when we rented it from Rental Car Momma. Rental Car Momma always makes our vacations more affordable, it’s just down right smart to use them. Anyway the biggest part of Bozeman is all the beautiful landscape from Yellowstone National Park. We spent our first day cruising the lowlands on rented bikes and stopping to take pictures every half mile. A little warning before hand, if you want to go bike riding realize that the farther downhill you go, the farther up hill you will have to travel when returning. Yellowstone is awesome, especially when you get down to the river, where the water is crystal clear and they are just teeming with fish. I guess that launches me into the second day’s adventure. My wife let me take the kids out and teach them how to go fly fishing. I had this big grand scheme in my head about how we were going to eat like kings but when I thought about brining the fish back to the hotel to be gutted I reconsidered. So, we did a bit of catch and release and then decided to go out for seafood that night at a place called Ferraro’s Fine Italian Restaurant and Lounge, were we feasted into the night. We did more exploring of Yellowstone over the next few days, just one awesome adventure after the other. Its not every day you wake up to your kids strapping on boots and waiting for you to wake up and head out the door to go hiking. Well worth the trip for a family vacation.